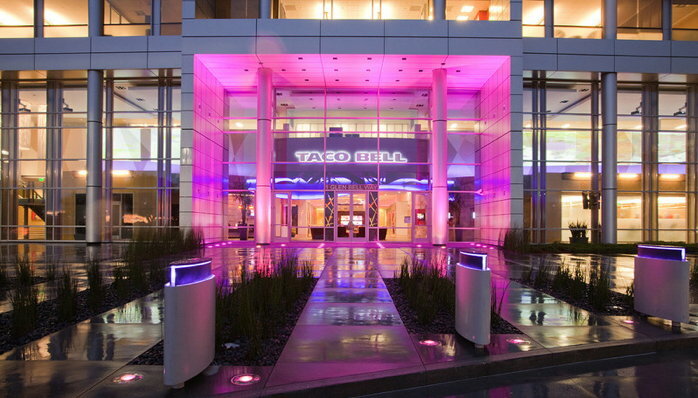 Taco Bell continues its global expansion by signing its first-ever master franchise agreements, continuing its path to becoming a $15 billion brand by 2022. Today, Taco Bell announced that the brand, in collaboration with two key franchisees, Sforza Holding Group in São Paulo, Brazil and Casual Brands Group (CBG) in Spain, entered into its first master franchise agreements. These deals make both groups two of the largest Taco Bell franchisees globally by store count. CBG, led by CEO Ignacio Mora-Figueroa, has been working with the Taco Bell brand since 2008 and currently owns and operates 40 Taco Bell restaurants throughout Spain. In 2016, CBG won Taco Bell&apos;s prestigious International Franchisee of the Year Award, which recognized them as a valuable global partner. The agreement signed between Taco Bell and CBG guarantees that more than 200 restaurants will be built over the next decade, adding more than 4,200 new jobs in Spain. This news comes after a period of rapid expansion from the brand, having opened eight new markets since 2016, including China, Australia, Finland, the Netherlands, Scotland, Sri Lanka, Romania and most recently, Peru. By the end of 2018, Taco Bell will have more than 500 restaurants in 27 markets around the world, with the goal of expanding the brand&apos;s international footprint to 1,000 restaurants by 2022. In the United States, the brand and its franchisees operate more than 7,000 restaurants. By 2022, the brand plans to operate 9,000 restaurants globally.